Some guy argued with an acid tongue and gave a personal attack. What he couldn’t know is, he gave me a very pleasant flashback. I recalled the cattle dog of my youth, my loyal buddy named Jack. It was sad when Jack passed on. I was 8, but I don’t dwell on that. I had a ‘youthful lifetime’ with that aging dog who lived for a love pat. We explored the homestead; rich in companionship, but money we’d lack. 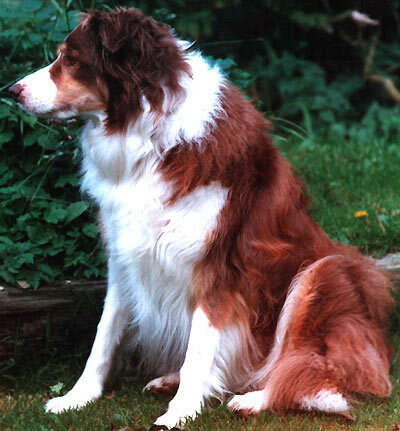 A butterscotch and white collie, that years before someone named him Jack. By my side? Why there’s no place he’d rather be. He was my faithful guide. I can still see him, one step ahead, and always one step to the right. And shook it to death. It was startling! Jack and I didn’t like snakes. Those vignettes, plus his cattle dog talents, are mixed among my keepsakes. He feared thunder!! His paws could open screen doors at the first crack! While bringing livestock home. Some turned on him. Jack had a counter reaction. Was to move away from her calf, retreat and jump over the fence. Did the cow win? That ‘round’ seemed over. That glaring bovine fin’lly turned. Over the fence and back at her heels, the teeth-snapping dog returned. The cow’s kick went over the dog’s head, as Jack athletically reacts. Each inexperienced calf with an ‘attitude’ was mismatched. Again jack circled to come up behind ev’ry time, til he was dispatched. Jack brought them home. ‘Both’ called, Jack brought them all. These events I’ve recalled. Horses were needed for mowers, rakes, hayracks or a cultivator. No critter was ‘exempt’! Jack was outnumbered, but a talented ‘persuader’! I was Jack’s ‘replacement’ for many years. Mem’ries take me back. At 5 p.m. it was, “CHASE THE COW, BOY.” I lost my buddy; I DID “know JACK”! !